Sometimes, vegetables can be really difficult to jazz up and I do this when I am struggling to find any inspiration in my fridge. 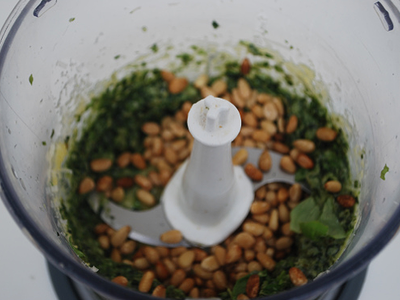 Making fresh pesto may seem daunting but you really can just pop everything into a Magimix and then freeze it. I often cheat by using frozen basil leaves too! You don’t need to only use basil. Try it with other herbs such as parsley, coriander and even rocket as well as different nuts (Brazil, pecan, walnut… they all work well). Basil has anti-inflammatory properties, as well as being rich in vitamin K (important for blood clotting), vitamin A and C for immune health, as well as iron and calcium for energy and bone health. Pine nuts are full of good fats as well as health-boosting vitamins, minerals and fibre to help support the digestive system. 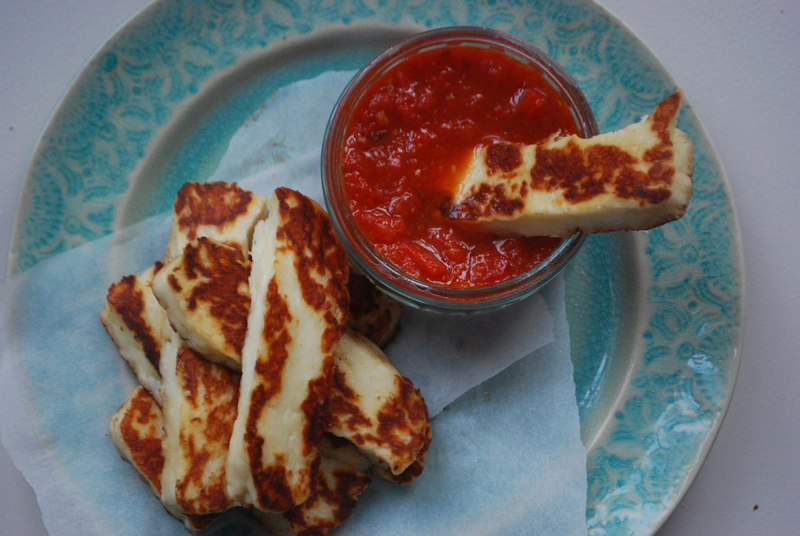 Parmesan is a hard cheese, a good protein source and can be better for us than soft cheeses. Raw garlic is a fantastic natural antibacterial, wonderful at warding off any winter bugs, and olive oil is rich in omega 6 monounsaturated fat, important for heart health. I often have leftover potatoes from supper the night before. Or if rushed, steam some mini baby new potatoes which take no time at all. 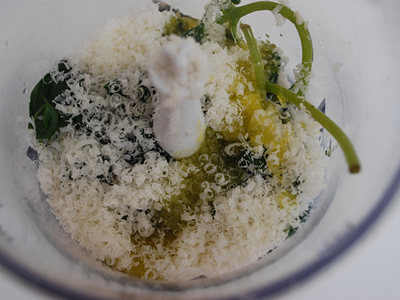 Put your basil, garlic, Parmesan and olive oil into a blender and blitz. Next, add in the pine nuts. 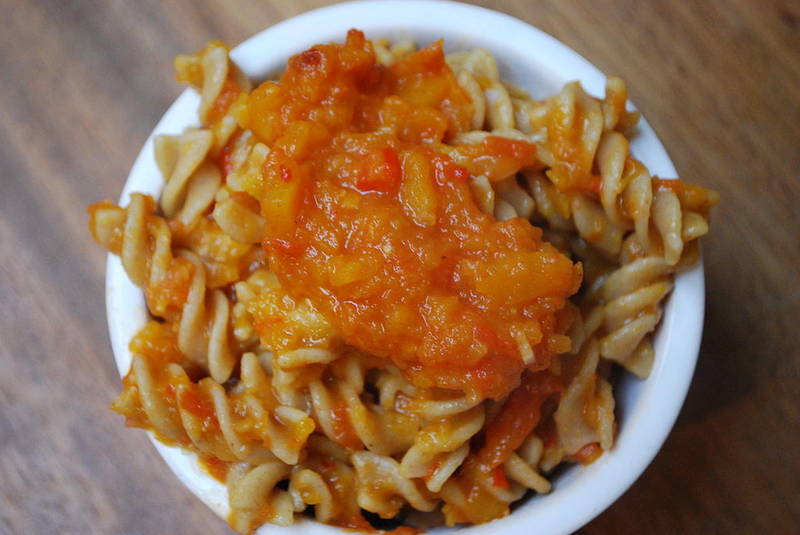 I do the pine nuts later as I feel it's nice to get a bit of texture from them so they are not a complete puree but that's just a personal thing. 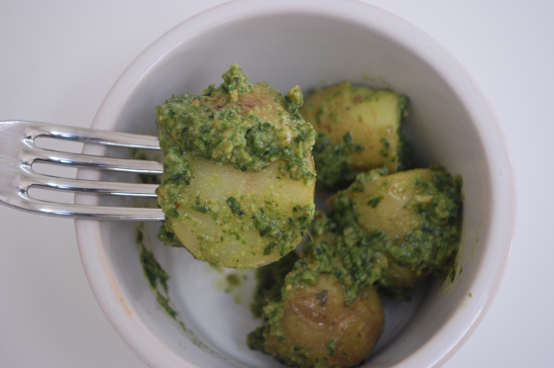 Get some cooked potatoes and cover with pesto. 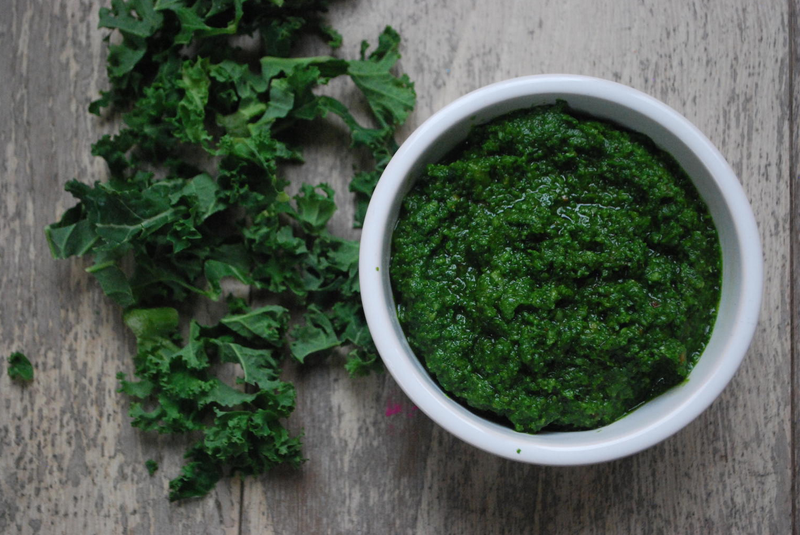 It's delicious and kids that love pesto with love this dish! 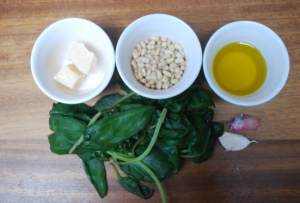 If you want to keep your pesto in the fridge, just keep it in a bowl or jar but do cover it with a slick of olive oil to stop any exposure to the air. This will stay fresh for days or even all week. However, the best thing to do is freeze it in ice cube trays and have to hand whenever you might need it.